Bob Burbidge was born in East Hartford Connectic in March 1949. He began martial arts training his senior year in high schools. 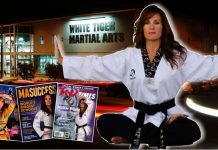 He began training in Tang Soo Do in Sherman Oaks, California at a studio owned by Chuck Norris and Bob Wall. Master Pat Johnson was chief instructor. In his early years of training, he learned from some of the top martial arts fighters in the world – legends including middle-weight world champion Chuck Norris, heavyweight world champion Joe Lewis, light heavyweight world champion Mike Stone, lightweight world champion Benny “The Jet” Urquidez, welterweight champion Howard Jackson, international grand champion John Natividad, and Ralph Alegria also an international champion. 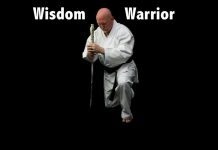 Bob Burbidge was rated by three martial arts magazines as one of the top fighters in the U.S. – Karate Illustrated, Official Karate Magazine. Professional Magazine. 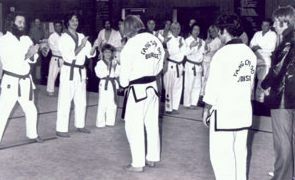 Bob Burbidge had been a member of the first Professional Karate Organization. A member of the USA All Star Team headed by world champ, Mike Stone. He also won the world famous Long Beach Internationals three times, the National Western U.S. Championship, Colorado State Championship, the Four Season Championship, and many more. 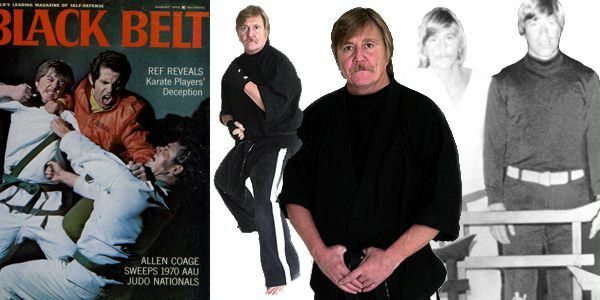 Bob Burbidge received his black belt from middle weight world champion and movie star, Chuck Norris. Bob Burbidge trained many celebrities including Steve McQueen, Priscilla Presley, Danny Bonaduce – The Partridge Family, Jeb Adams – Ba Ba Black Sheep, Chris Hillman – The Byrds rock group, Bernie Leadon –The Eagles rock group, Emory Gordy – Neil Diamond, and Olivia Newton John. He also appeared in the T.V. series Room 222, the movie short The New Gladiators, and on many radio interviews. Since his retirement from competition Mr. Burbidge focused his attention to the training of young Karateka across the U.S. Three of his students won International competitions. A consummate professional Mr. Burbidge considers all aspects of Karate important, and introduced videotape playback as a way of training. After a courageous fight against cancer, Bob Burbidge passed away on Thanksgiving Day, Thursday November 25, 2004. Services were held December 2, 2004 in Chatsworth, California. In an incredible display of brotherhood, Bob Burbidge was remembered by martial artists, students, peers, friends and family from all over. Many Black Belts attended dressed in full uniforms. 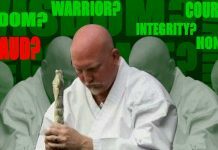 Fighting champions Mr. Howard Jackson and Mr. John Natividad spoke at the funeral, recalling many of the elusive qualities that made Mr. Burbidge both a great man and a consummate martial artist. One theme that ran through the service was that the memory of Mr. Burbidge’s life, his love of his art and the things he taught are his legacy, that will live on as long as we continue to honor the traditions he loved so much. Bob Burbidge was honored posthumously in 2004 with The Black Belt Hall of Fame Honorary Award.